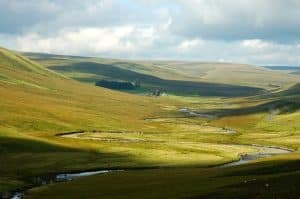 Open Spaces Society has welcomed the commencement of further provisions about common land in Wales—but have lamented the Welsh Government’s failure to communicate. The Welsh Ministers have made a commencement order(1) to bring into force provisions in the Commons Act 2006 about freedom of access to information in the commons registers, and about obtaining official copies of the registers. The order also corrects a mistake made by the Welsh Ministers earlier this year, that meant that new provisions for applications to register and deregister common land in Wales were defective where an application was granted, because they did not enable a local authority to amend its registers held under the Commons Registration Act 1965(2). Commenting on the commencement order, Hugh Craddock, one of the society’s case officers, said: ‘We are glad to see that the Welsh Government has implemented further provisions of the Commons Act 2006, which will assure the public of access to the commons registers held by local authorities, and to information held by those authorities about the original registration of land as common land or town or village green. The provisions have been expressly applied to information held under the Commons Registration Act 1965, which will be extensive in the many parts of Wales with substantial commoning activity. And the order now also gives people a right for the first time to obtain official copies of any information held under the 1965 Act. But we are sorry that this order has been necessary only because of flaws we identified in the Welsh Ministers’ original statutory instruments. Had there been a greater willingness to consult and engage with us and other representative groups, these mistakes and delayed implementation could have been avoided. We call on the Welsh Government to work with us more closely, to discourage further mistakes in the future. 2 The Commons Act 2006 (Commencement No. 4) (Wales) Order 2017 (SI 2017/564; W.133) and the Commons Act 2006 (Correction, Non-Registration or Mistaken Registration) (Wales) Regulations 2017 (SI 2017/566135).